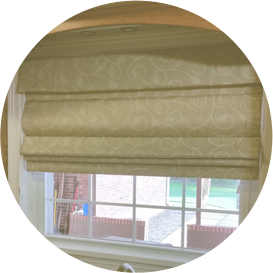 Quality Window Fashions, Personal Service and 17 years of Design Experience........This is Design Inspirations! Detailed Installations complete your signature style! 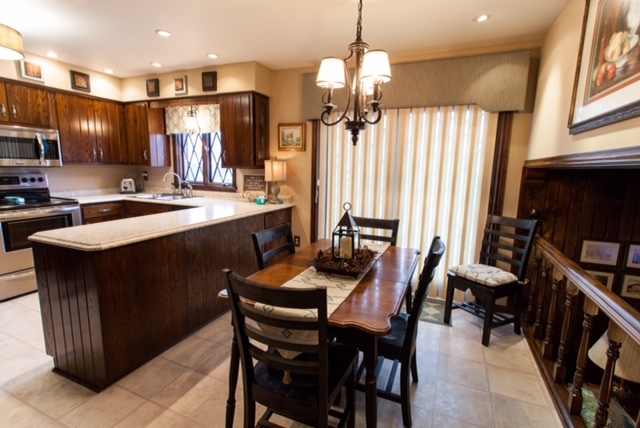 We create your Signature Style for the home you Love! 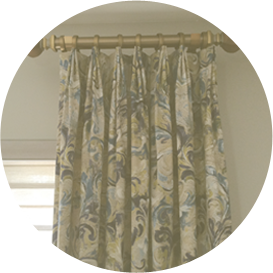 Custom Fabric Roman Shade complimented with deco pillows and seat cushion! 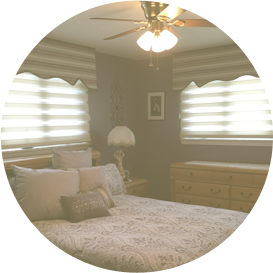 Kathleen's design experience guides you to the perfect treatment to fit your style, vision and budget! Design Inspirations‘ services include furniture reupholstering, designing with wallpaper and professional painting. Kathleen will guide you to the perfect choices to complete your vision. 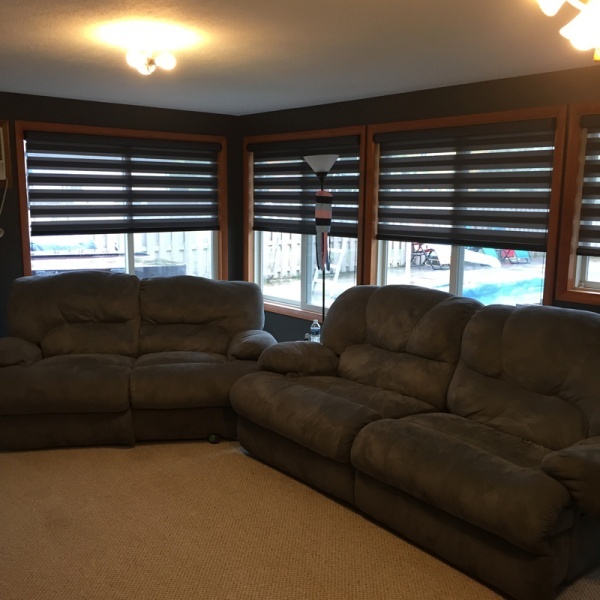 The right blind, shade, shutter or fabric treatment can give a completely new look, design and function to your room or office. 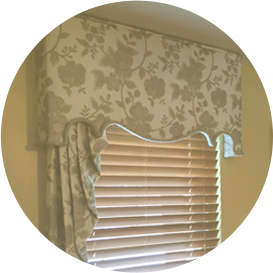 Our clients realize that updating window treatments easily gives their home the stylish look they wanted. Our experienced installers complete every finishing detail with your satisfaction in mind! From guaranteed measurements, signature designs, hand-sewn quality to detailed installation, Design Inspirations is confident you will be thrilled and find a new love for decorating and have complete satisfaction with our Worry Free Warranty! Design Inspirations will work with your budget to achieve the best in coverage, functionality, privacy and/or light filtering features. Kathleen will give you peace of mind and ease in decor choices. Remember…We Make Decorating Simple and Enjoyable!